When it comes to comfort and support, Dansko sets a high standard. We carry Dansko clogs for both men and women. 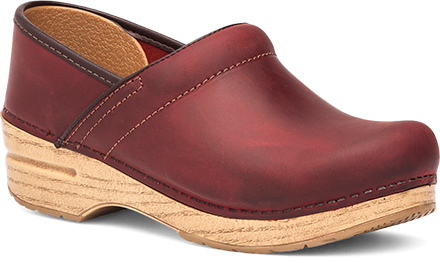 Dansko is the standard by which all other clogs are judged. Originally championed as a premiere clog for nurses, chefs, and teachers, the popularity of this comfort brand quickly grew beyond the occupational world. To broaden the selection for a wider audience, Dansko blends the comfort of traditional clogs with other classic and on-trend footwear fashions, including sandals, shoes, boots, mules and heels. Dansko Professional: In Praise of an Aggressively Unfashionable Shoe, NY Times Style Mag. 3/13/2017.